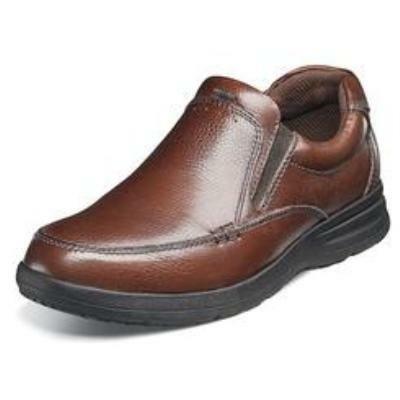 This is the Nunn Bush Men’s Cam moc toe slip-on. The fully padded mesh linings provide exceptional moisture management and 360-degree padding for exceptional comfort. The outsole is dual density with EVA/rubber for lightweight comfort and long-term wear.